Here is the map on needles! 75% done! 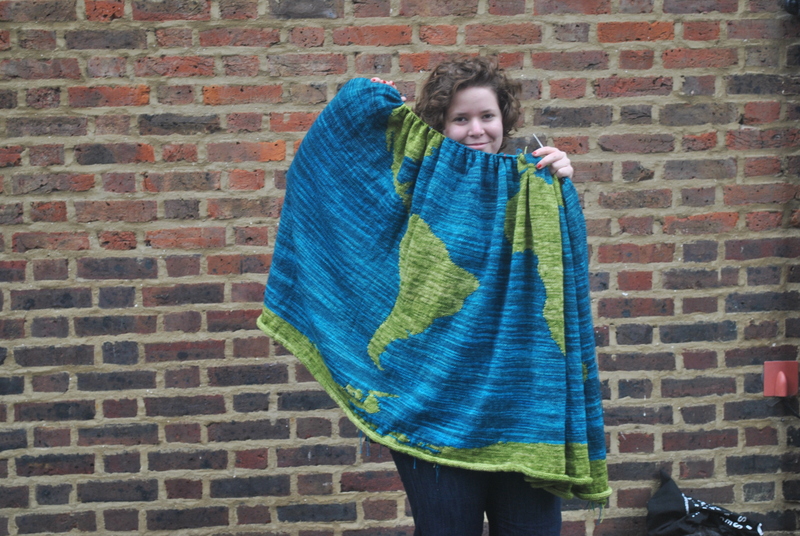 Meg Knits + We’ve Got Another Interview! They’ve changed the time to 7:30am, but I’ll get the link for you guys so you can watch it later at your leisure. Who’s got knitting flair and hold the needles of my heart? Meg Knits on etsy sure does! Go see what lovely things Meg makes and maybe find a gift for a special someone or get yourself a cozy new hat.